On August 1st, Forbes launched a quiz titled "Which college is right for you?" One week later the quiz had racked up 75,000 views and over 1000 social shares. 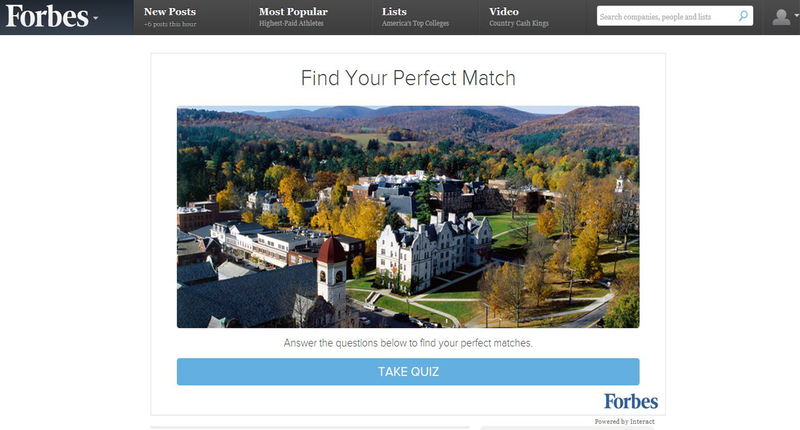 Even better, the quiz was used to promote the Forbes College Adviser, a proprietary tool developed by Forbes to help students narrow their college choices. The Forbes quiz is just one of many recent success cases when it comes to quizzes. 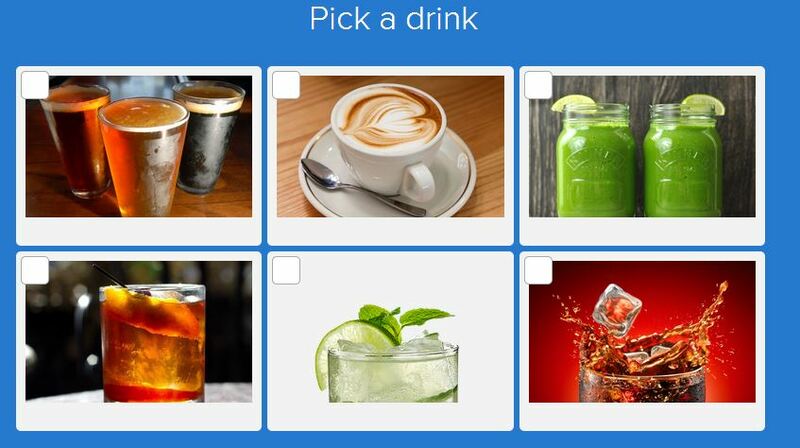 Companies are beginning to jump on board and create interactive quizzes that are becoming viral sensations while also promoting products and services. Unlike regular content production, quizzes can't just be typed out and published, there's both art and science involved in creating a quiz that drives loads of traffic and promotes your business. After helping more than 2000 brands build quizzes at Interact, I've come up with some best practices for making quizzes, which I'll share below with all the juicy details. Being a data-driven company, Interact constantly works to discover the best methods for creating quiz content. I will break down the steps of quiz building into a simple guide to alleviate the difficulty of the process. 1. Picking a topic for your quiz. Before you begin hammering out content, you need a good topic for your quiz. What will it be about? Who will it reach? Those are the things you need to know before investing your time. Here are some tips to nail the topic. Know your audience. It's better to have a potential audience of 100,000 people who really care about your quiz topic than an audience of 20 million who really don't care. 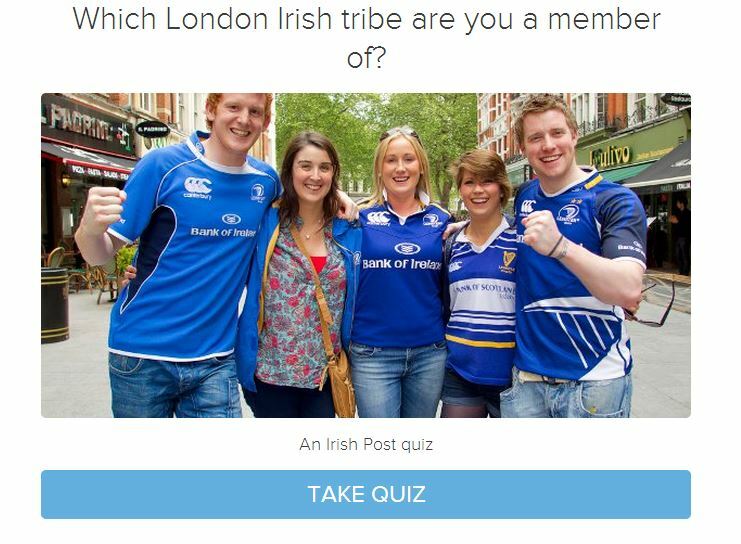 For example, The Irish Post made a quiz just for Irish people living in London-of which there are only 80,000-and within one week, 25% of those Irish people had taken the quiz. If your audience is very interested in your quiz, you'll get plenty of traffic, even if the overall group isn't huge. Write to a person. Quizzes are unique in that they are a one-to-one medium rather than a one-to-many production. Don't speak like you would to a crowd-talk to one person. This will loosen up your writing style and build rapport with every person who takes your quiz. If you can't think of one person who would like your quiz, you may want to rethink the topic. Stay on point. If you are in the skin care industry, don't make a quiz about cars. This seems like common sense, but there is a temptation to mimic the quizzes that have really gone viral but have nothing to do with your business. The best performing quizzes from the vantage point of generating traffic and good leads for your business is to stay relevant. 2. Writing a quiz title. Up to 80% of people will decide if they want to take your quiz based on the title. Luckily, we've found that there are a couple title templates that perform very well and are adaptable to pretty much any business. First: "How much do you actually know about?" title: This is a simple knowledge test with a twist. 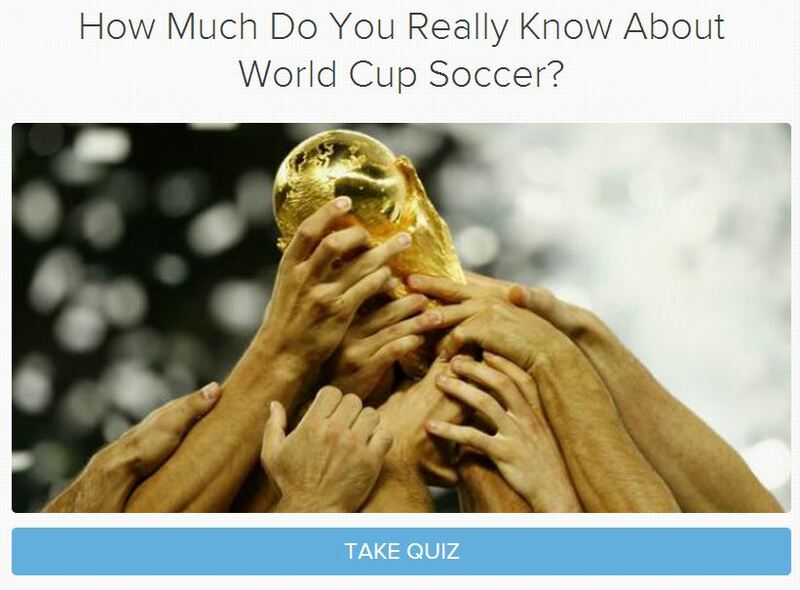 "How much do you actually know about the world cup?" In reality, all you're doing is testing to see how much your customers know about a certain subject, but by adding the word "actually" the title become a challenge, and no one wants to back down from a challenge. Second: "Which (blank) are you?" title: "Which color of pink are you?" 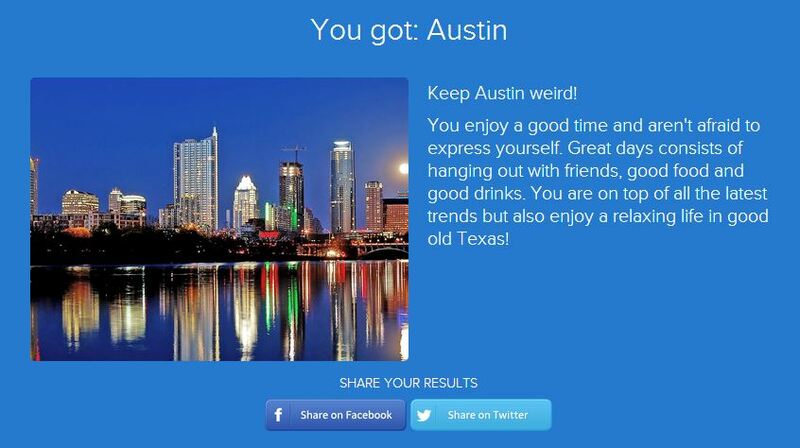 this quiz is a personality type quiz that can be adapted to virtually any product or service. For products, replace the personality types with your products: "Which hookah are you?" 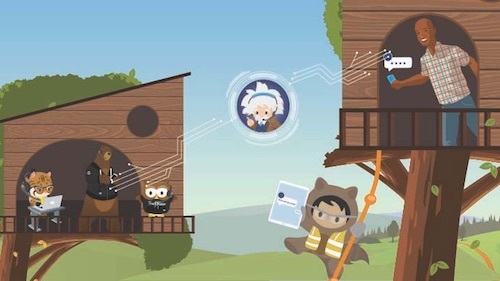 And for services you can get creative: "Which customer support superhero are you?" 3. Creating the quiz questions. The question and answer part of a quiz is where the magic happens. 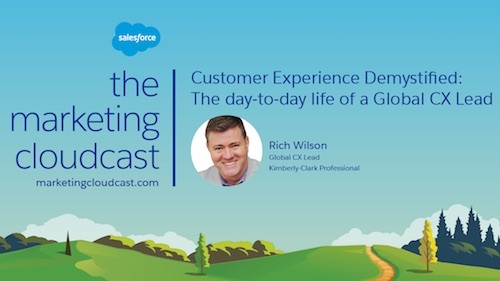 This is where you get the chance to have a conversation with your quiz takers and build rapport that will carry through your interactions with that quiz taker and help you convert them into a customer. When writing quiz questions, here are a few things to keep in mind. Use your personality. Think of a quiz as a conversation with a friend at the local pub. Don't speak in business talk, and never have quiz answers that are "never, sometimes, always" When in doubt, be more edgy. You want the questions to be a time when you create a connection with each person taking your quiz. Let people talk. We really like talking about ourselves. 60% of our normal conversations are about us. Let your quiz takers express themselves through answering your quiz questions. That means making your questions simple and then getting out of the way so people can answer the way they'd like. Keep it short. Ideal quiz length is 6-12 questions. That amount will take 2-3 minutes to complete, which is optimal considering how short our online attention spans are. Any longer than that and you risk losing people who get bored. 4. Crafting your results. 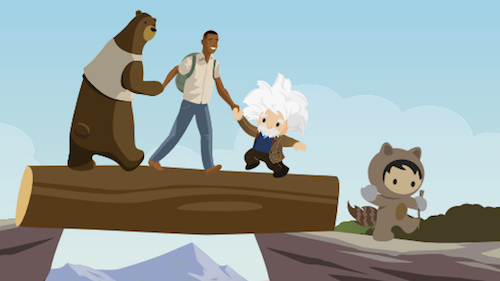 The results of your quiz are where you get the chance to amplify the reach of your quiz. Your quiz takers get an opportunity to share their result and get their friends interested. The average quiz gets 75% of its traffic from referrals, so this part is important. There are two kinds of quizzes that are the most popular-personality type quizzes and scored quizzes that have a correct answer. Here are some tips for writing results for both types. Be positive. Tell people how great they are. Most quiz traffic comes from social shares, and we tend to share things that make us look good, so make sure to tell people they rock. Even if you have to tell someone they are a truck, there are ways to make that a good thing. For example, trucks are reliable and strong. Don't lie. Even when you are being nice, you want to base everything on truths. Going back to the truck example, focus on the reliability and forget the part about trucks being big and cumbersome. Prepare for sharing. There is a formula for how quizzes get shared, and it goes like this "I got (my result)(title of the quiz)" so it would look like "I got salmon - what color pink are you?" when crafting your results titles, keep this formula in mind. Tell people how they did. We crave instant gratification, and the internet has appeased us. You can google virtually anything to find an answer instantly, and that has trained us to not wait on things. Include the correct answers for your quiz in the results so people can instantly see how they did. Include a link back to your site. This is important. 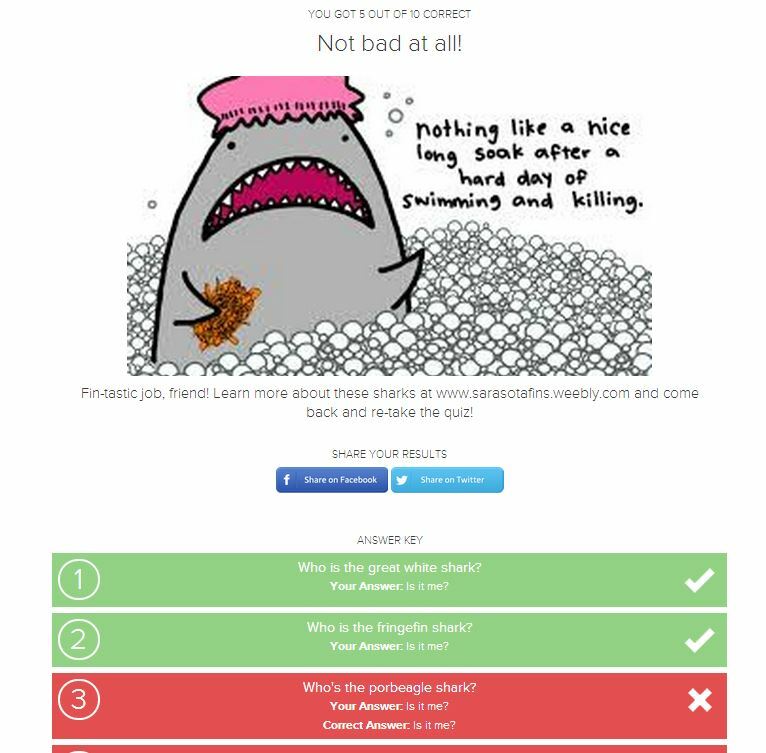 You want your quiz to act as a traffic driver back to your site. Include a link to learn more about the quiz subject, especially for the results where people didn't do very well. When someone finishes your quiz their curiosity is piqued, give them a way to go explore more content while they're intrigued. Forbes nailed it when they helped 75,000 people find a college and content that is directed towards their interests. What Forbes did is replicable on virtually any site using the simple principles for creating quizzes outlined above. I encourage you to try it out for yourself and see what kind of results you get-would love to discuss in the comments. P.S. Stay tuned for part two where I'll show you exactly what Staples, Forbes, and Amnesty International did to build their very own viral quizzes.